We conquered Port today. 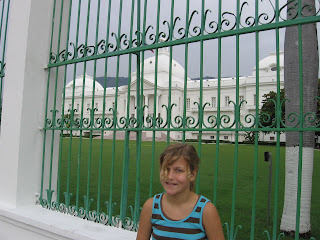 Paige had a Social Studies field trip and learned about Haitian history and Government, a photo of her in front of the Palace demonstrates how eager and excited she was to learn. 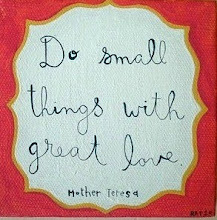 We took care of some mission business, we got our list done, the first half of team groceries are purchased, yada yada. We had a nice day and enjoyed the clouds. Paige hosted a party for one of her friends tonight. She will write about it in the next few days. She had a little lesson in party planning and Haitian culture all at once. We were entertained watching her run- run- run to keep up with the requests. And now, I must take my puffy cankles and go to bed.